Please click on your desired area on the map below. We provide Mileage Correction, Calibration and Adjustment thought-out the Southeast. We can perform mileage correction on almost any car, van or motorcycle up to the latest year of manufacturer. 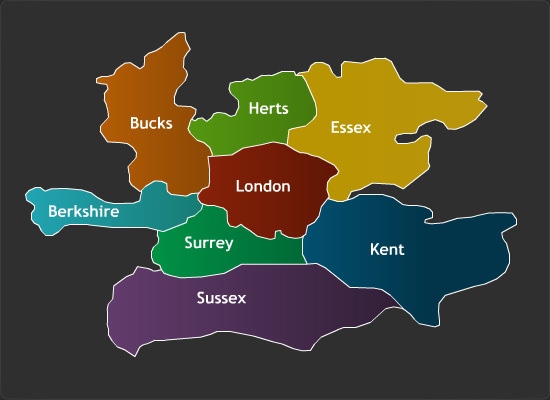 We cover all of the towns and locations in London, Essex, Kent, Surrey, Sussex, Berkshire, Buckinghamshire, Hertfordshire, Middlesex and the UK. Providing our efficient mobile digital mileage correction service we can often be to you on the same day of your enquiry to perform a digital mileage correction on your car, van or motorcycle. Our mobile service for digital mileage correction to all the above areas is second to none using our fully equipped mobile workshops, allowing us to bring to you all the facilities for digital mileage adjustment that you would receive from our fixed site service centers. All our mobile workshops are unmarked allowing us to perform our service with the utmost discretion. Our technicians are always polite and will treat your vehicle with care and attention during all adjustment procedures. Just call us with a request for an appointment and we will arrive as scheduled on time to perform the required mileage correction on your vehicle.